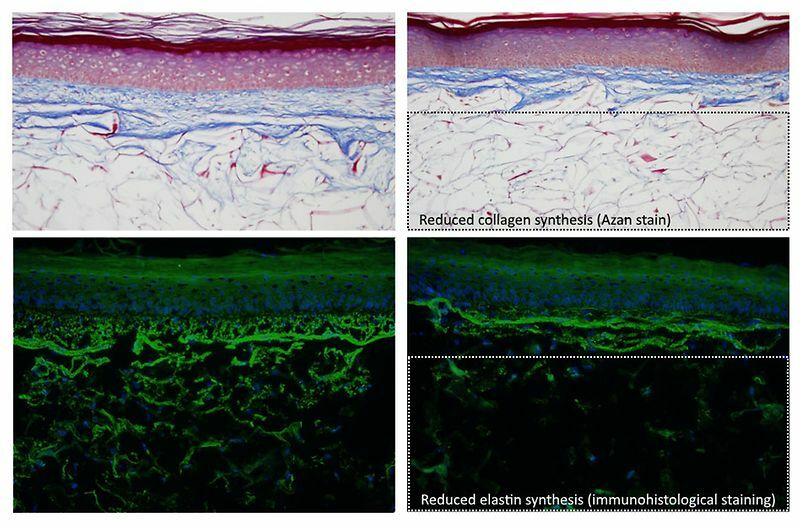 Under the scientific leadership of Prof. Dr. Peter Brenneisen from Heinrich Heine University in Düsseldorf (Faculty of Medicine, Institute of Biochemistry and Molecular Biology I) and in collaboration with Henkel, a procedure was developed for the first time to manufacture in a standardized and reproduceable way the Phenion® AGED Skin Model. The aged skin model has the morphological and physiological characteristics of aged human skin. These include a decreased synthesis of connective tissue proteins like collagen and elastin, as well as an increased release of protein-degrading enzymes. The standardization of the manufacturing process guarantees the high quality of the aged skin models and thereby opens new possibilities for various research fields. Beside the investigation of basic mechanisms related to skin ageing, active ingredients can be tested. The aged skin model could further have applications for the research on age related skin tumors. 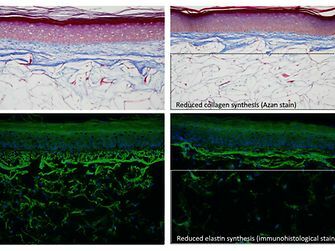 “Skin cells, regardless of whether they are young or old, behave more naturally in three-dimensional tissues than in two-dimensional mono-cell cultures. In this more natural environment, age-related changes in cell metabolism can be studied more accurately than before,” said Brenneisen. 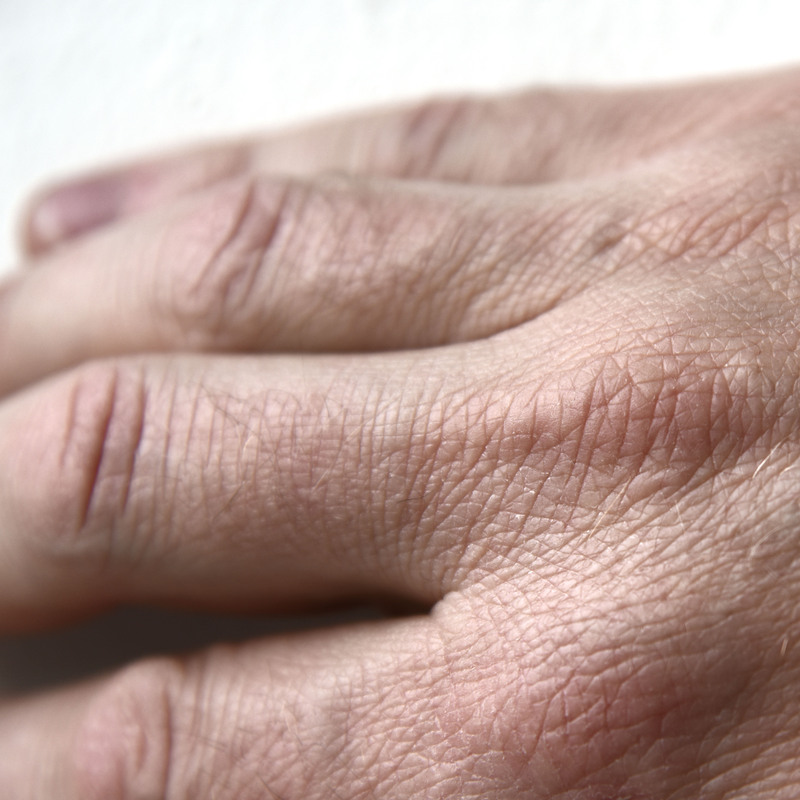 The core of this patented procedure is an equivalent of the human dermis. It is made of a bioartificial collagen matrix in which fibroblasts are cultivated. Following a finely tuned protocol, the dermis models are treated with a solution of mitomycin C. In fibroblasts, this agent leads to a network of crosslinks between DNA strands causing a cell cycle stop. It also fosters the generation of reactive oxygen species that alter the DNA and proteins in the cell. Both effects induce characteristic changes in fibroblasts, and thus in the skin models, which are linked to aged skin. The next step is to remove the mitomycin C and to sow keratinocytes onto the aged dermis model. The cultivation period that follows results in a differentiation of the keratinocytes, which form a multi-layered epidermis that also shares a surprising number of characteristics with aged skin. It is the interaction between the two layers of skin that makes it possible to study complex phenomena like skin ageing. Interested laboratories and research facilities can find extensive information, contact details and the possibility to order the Phenion® products on the website www.phenion.com. Skin ageing is accompanied by a reduction of elasticity and tension. The Phenion® FT AGED Skin Model is a surrogate for aged human skin and represents a screening tool for substances and cosmetic actives. The Phenion® Full-Thickness Skin Model, developed by Henkel scientists, is once again demonstrating its exceptional properties: It now serves as the basis for an innovative testing procedure to assess the safety of new raw materials that come into contact with the skin. Düsseldorf – Henkel takes an important step in disseminating in vitro testing tools that were initially developed for own research purposes: From now on, the company grants unlimited access to its innovative skin models, commercialized under the brand Phenion®. 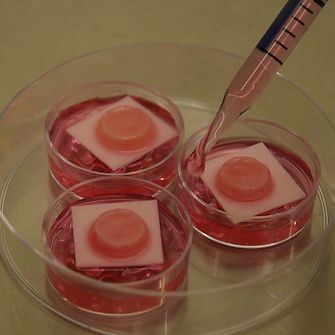 The bioartificial human skin models can be used for safety assessment or basic research in dermatology and cosmetic science.